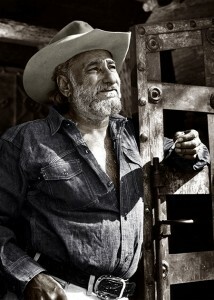 Every year on June 14th, from 10-4, we celebrate Ted DeGrazia’s birthday with free cake and ice cream! Stroll through the 10-acre gallery grounds on this special day to see the art and architecture of Arizona’s acclaimed artist as we celebrate his birth in the copper mining camp of Morenci on June 14, 1909. This event is open to the public and offers free admission for the day! 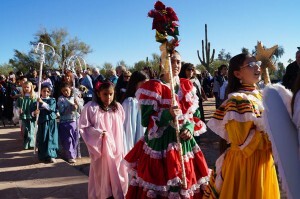 The DeGrazia Gallery in the Sun hosts annually La Fiesta de Guadalupe. This festival honors Mexico’s patron saint with music, dancing and performances including mariachi bands, folklorico dancers, the Yaqui Deer Dancers and Domingo DeGrazia’s Spanish-guitar band. The festival also features a Los Posada procession where children from the Carrillo Magnet School sing in honor of the saint culminating at the Mission in the Sun. Local food and art vendors offer southwestern fair and souvenirs to guests. The event is free and open to the public! An opening reception for “Arizona Highways and Ted DeGrazia” will be held from 5 to 7pm on Friday, May 24th, 2019 at the Gallery in the Sun. The opening reception is open to the public and offers free admission for the event.